Want to know more about gambling in Brisbane? Wagering in Queensland is a big business and in 2014/15, Queenslanders spent $3.7 billion on gambling activities. 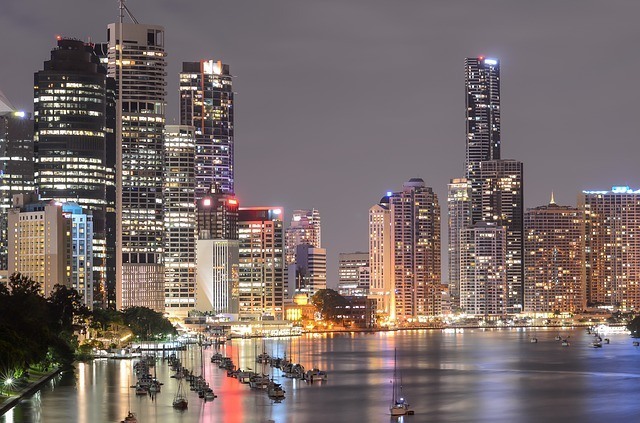 From Bingo to sports and race betting, poker to the lotteries, with a population of 2.2 million people, Brisbane can account for much of this figure. 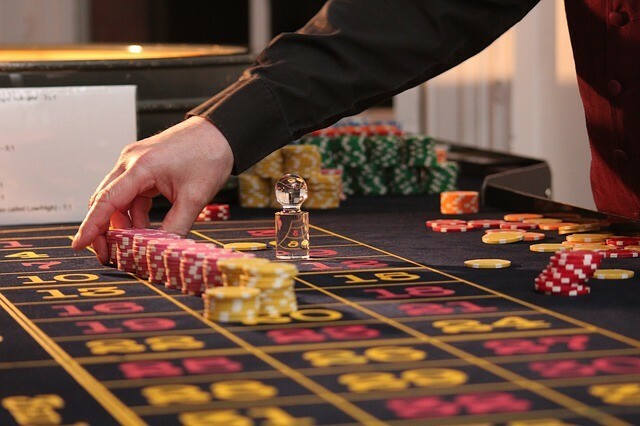 Here, we take a look at the gambling scene in the city of Brisbane, looking at the various ways you can place a wager including a little history of the gambling scene in Brissie. Gambling in Brisbane is legal for those aged over 18 who use a licensed bookmaker (registered TAB agency or TAB outlet), casino or registered gaming facility (including licensed Electronic Gaming Machines). Gambling in Brisbane comes in many forms; not just at the casino. Image via Pixabay. These Acts cover charitable and non-profit gaming as well as casino, lotteries, Keno and wagering. As can be seen from the above, people in Queensland spend more money on the pokies than any other form of gambling and spend five times less per capita than the national average on Keno. Money spent on race betting and at the casino is also lower than the rest of Australia. Gambling in Brisbane dates back to the original settlement of the city by the Europeans with the first race meeting held in 1843. However, it wasn’t until 1962 that the first off-course betting facilities were made available by TAB. 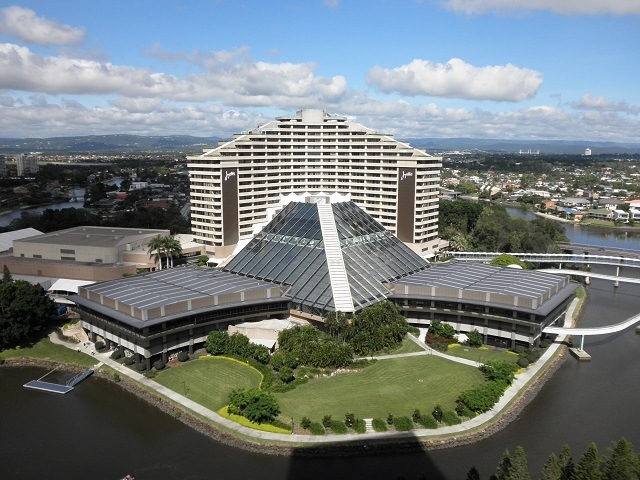 Queensland opened its first casino in 1985 with the Conrad Jupiters on the Gold Coast. The following year saw a second casino added with the Sheraton Townsville Hotel and Casino. An hour south of Brisbane, the Conrad Jupiters was the first casino to be opened in Queensland. Image via Wikimedia. Six years later in 1992 and gaming machines were licensed for use in clubs, pubs and hotels. In 1995, Brisbane welcomed the opening of its own casino (the Treasury, see below) and less than 12 months later, Cairns saw the Reef Hotel Casino open its doors to punters. Over the last few decades, Brisbane has seen many changes in legislation which have been designed to promote responsible gaming. In keeping with the policy of single integrated resorts in Australia’s cities, there is only one casino in Brisbane. Owned by the Star Entertainment Group and funded by partners in China, the Treasury enjoys a prominent position in the city and is investing around $4 billion in plans to upgrade the development. Due to be redeveloped and extended, the Treasury Casino in Brisbane is in prime position. Image via Wikipedia. Situated in the heritage-listed old Treasury building, Brisbane’s only casino originally opened in 1995. The casino is split over three separate gaming floors with 1300 electronic gaming machines (pokies), 80 gaming tables and private poker rooms. The majority of poker games are played Texas Hold’em or Omaha style. Table games include Blackjack, Roulette, Carribean Stud Poker, Sic Bo, 3 Card Poker as well as Craps. The Treasury Casino and surrounding area is under development as of 2017 to extend the existing facilities. Due to be completed by 2022, the new complex will include five new luxury hotels, 50 restaurants and bars plus a new theatre. The details of the new casino have yet to be finalised but we can expect this venue to be even larger with many more gaming zones. The first race meeting in Brisbane occurred in 1865 and was held at the historic Eagle Farm Racecourse. Ever since, horse racing has been a big spectator sport, enjoying its heyday during the 1960s and 1970s. Attendance at live events has fallen due to the advent of televised racing and the widespread availability of off-course TAB facilities but big events can still draw big crowds. The city plays host to some important meetings including the Brisbane Cup, the Queensland Winter Racing Carnival and the Doomben Cup. Home to the best horse racing in Brisbane, Doomben is the course of choice. Image via Wikipedia. Just 7km outside of the CBD in the Ascot area of the city is Doomben Racecourse. Opened in 1933 but upgraded in 1982, the course is home to the BTC Cup and the Doomben Cup. The latter is one of the best middle-distance flat races in the country and regularly attracts good crowds when it’s held in May. Races are generally held on a Saturday with some midweek (Tuesday/Wednesday) racing during the summer. A full calendar of events can be downloaded from the website. TABs are available on site along with dining and bar facilities. Midweek racing is free with Saturday general admission tickets costing $15. The premier racing facility in Brisbane, Eagle Farm Racecourse was opened in 1863 and is a heritage-listed venue. It is situated across the Nudgee Road from the Doomben racecourse and shares many of the same facilities. The history of the racecourse also shares similarities to Doomben and both were closed during the Pacific War to host American troops. Together the two courses were known as U.S. Camp Ascot. Eagle Farm holds the prestigious events of the Queensland Oaks and the Queensland Derby in June. Both part of the Queensland Winter Racing Carnival, you can also watch the Stradbroke Handicap, a $1.5 million thoroughbred race. TAB services are provided on race days. For some midweek racing, you can head 30 minutes west of Brisbane to Ipswich Turf Race Club. Formerly known as the Bundamba Racecourse, the Ipswich Turf Club dates back to 1848. They hold 48 meetings each year including two Saturday events. Their big event is the Ipswich Club, held in June each year. It’s not the most prestigious event in Queensland’s racing calendar but it is a very social occasion and there is some good racing to be had. TAB and bar facilities are available on site. The thrill of harness racing is half the draw…as well as some good wagering. Image via website. Just 2.5km upriver from Fortitude Valley is Albion Park; home of harness racing in Brisbane. Top pacers meet on a Saturday evening with weekday events on Tuesday and Friday nights. There is a good community who regularly attend the course and the sport is definitely one for spectators who enjoy live action. TABs are available on site. Greyhound racing in Australia has fallen into decline over the last few decades but Brisbane is currently enjoying a resurgence of public interest including with overseas visitors. Midweek racing attracts some good crowds and can offer some good returns. Image via website. With midweek meets on Monday and Thursday nights, Wednesday afternoons plus racing on Sundays, the Albion Park raceway has plenty of live action. You can catch the action trackside or watch indoors from the betting auditorium. Holding Saturday races with some midweek action on Tuesdays, Capalaba extends the dog racing calendar where the Brissie Greys club leaves off. The club is about a 20 minute drive to the east of the CBD and is easy to reach by bus or car. It’s not the largest dog track you will ever visit but it does have a good local following and punters are welcoming to new faces. The track has the honour of being the location of the world record fastest greyhound in history. ‘Lincoln Stanley’ ran 366m in 19.51 seconds in 2006 recording a speed of 67.53 km/h; no other dog in history has officially been recorded at this speed. The fastest greyhound in history, ‘Lincoln Stanley’ was recorded in Brisbane. Image via Greyhound Data. Half an hour outside of the city, in Ipswich, you can also enjoy dog racing on Tuesday, Friday and Saturday evenings out in the sticks. Admission is $5.50 and the track has TABs, snack bar and bar facilities. Queenslanders spend a little more than the national average on playing the lotto but considerably less on Keno. The National Australian Lottery is held daily and is run by the Tatts Group. You can find full details of how to play the huge variety of games via the Official Lottery website. Tickets can be purchased online or via a licensed Lotto retailer. Jackpots range from a few million to huge jackpots in excess of $10 million. There aren’t that many places in Brisbane to play Keno but you can find details of the 37 venues where you can join in this lottery like, instant win game via the official Keno website. The main venue for poker is, of course, the Treasury Casino (see above) where you can find WSOP satellite tournaments. Poker takes place on Level 1 on Mondays and Thursdays. Poker Leagues are played in the pubs and bars around Brisbane. Image via Pixabay. Bingo is a popular form of gambling in Brisbane. Although it doesn’t generate the same kind of revenue as other wagering, it regularly attracts good crowds for cash prizes across the city and the suburbs. There are a couple of main bingo halls, each situated in a different suburb or Brisbane but all have good reputations for their facilities, cash prizes and warm welcome. The biggest Bingo facility in Brisbane and one of the best facilities in Queensland, you can find 200 touch screen tablets to make bingo even quicker than normal. Joining the modern revolution, this recently refurbished venue gives away $100k in prizes every week. No wonder it’s so popular! Despite the upgrade, Southside retains its retro charm and offers a sports bar, dining area and café in addition to the large bingo hall. There are also 210 EGMs on site. You can go traditional or use the electronic bingo pads at Redcliffe. Image via website. Lucky numbers are drawn every night and there are good payouts in other games. Swifts is a bit of a schlep outside of the city but if you are staying in the west of Brisbane then you could reach it in under 20 minutes. The facilities at Swift Sports Club are extended to non-members during bingo events and you enjoy the bar and bistro prior to, or after, your games. There are almost 200 venues in Brisbane city that have electronic gaming machines (EGMs) with the most being situated at the Treasury Casino (1300 licensed pokies). ‘Best Club of the Bayside’ – the Wynnum Manly Leagues Club has 300 EGMs. Image via website. TABs are licensed bookies that can take your racing and sports bets. As well as being situated in the city’s horse and dog race courses, you can find TABs in sports bars, social clubs and hotels around Brisbane. There are also TAB shops. Built at the turn of the 20th century, the Tattersalls Club on Queen Street is a heritage-listed building which is home to a private members only sports and racing club. An historic and prestigious club, this is as close as most of us will get to the Tattersalls Racing Club. Image via website. The building is elegant in design and sophisticated in its membership. The facilities include TAB sports and race betting as well as a health and wellness centre, bar and dining area plus billiards room, library and wine room. The Tattersalls Club has its own race club which holds four meetings at the Doomben Racecourse.